BOWRAL COUNTRY PLATE CHAMPIONS | The International Cricket Hall of Fame. Possessing a team of both youth and experience Bowral Cricket Club was crowned the Country Cricket NSW McDonalds Country Plate champions after defeating Yass in the final of the competition in Grafton during the Christmas – New Year break. The match was the culmination of three months of representative cricket and demonstrates the team’s commitment to resilience, perseverance and determination. Having progressed through the preliminary rounds with wins against Jamberoo, Bomaderry and Nowra, the HDCA team qualified for the final round of matches travelling north to take on their first challenge, a semi- final match against Temora. Having first use of the wicket, Bowral totalled 148 runs being dismissed in their forty third over. Jack Whitfield headed the batting credits with 42 runs, well supported by Ryan Haigh with a neatly compiled 35 runs. Temora’s contribution to the score was 30 extras. Following the break the opposition prepared to run down the target set by Bowral but fell 37 runs short. Patrick Jackson continued his great form with the ball taking four wickets for 37 runs. Peter Crawford was responsible for dismissing two Temora batsmen for 16 runs while Whitfield duplicated Crawford’s attacking ability with his two wickets adding 20 runs to the opposition score. Murray Burgoyne send down thirty balls to finish with one wicket for 15 runs. The win saw the team enter the final against Yass. Winning the toss and electing to bat, Bowral remained at the wicket for thirty four overs compiling 174 runs. The batsmen were tested by the opposition bowlers with wickets falling in a regular pattern until an eighth wicket partnership between Peter Crawford, 66 runs, and captain Chris Weller, 38 runs, added creditably to the score. Opener Patrick Jackson commenced the innings with 13 runs. Yass required a run rate of just over three runs per over to achieve their target and while occupying the crease for forty three overs the challenge was beyond them with their final batsmen returning to the pavilion with the scorebook displaying 139 runs. Jackson dismantled the top order batsmen returning the encouraging figures of three wickets for 16 runs from his ten over allocation. Player of the match Crawford demonstrated his all-round ability capturing two wickets for 26 runs off eight overs. Fellow opening bowler Burgoyne equalled Crawford’s wicket taking ability with only 17 runs taken from his six overs. Weller and Whitfield completed the demolition with a wicket each having 32 runs each taken off their bowling from a combined total of ten overs. Safe hands saw Jackson, Whitfield and Scott Woods responsible for the removal of three batsmen. The team’s long return journey from the North Coast back to the Southern Highlands was made much easier knowing that their combined batting, bowling and fielding skills had proved successful against fellow country teams. The Country Plate challenge has been accepted within the Southern Highlands over a number of years. A HDCA team was victorious in 2007-2008 while four seasons later Robertson Burrawang Cricket Club was the winner of the final. 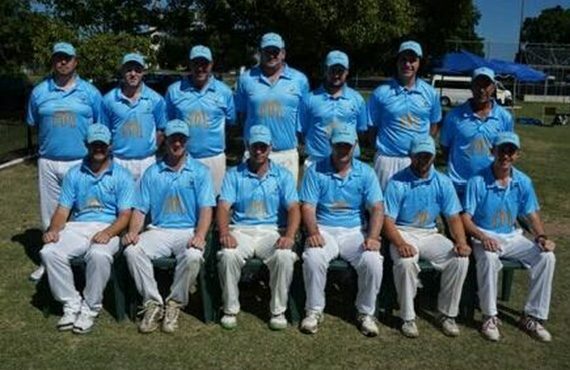 As a result of Robertson Burrawang’s win they were promoted to the higher graded Country Cup since their win and have achieved with creditably since, just missing out on a semi- final berth in 2016.